Learn the steps on how to buy Avon online to make your online shopping easy. 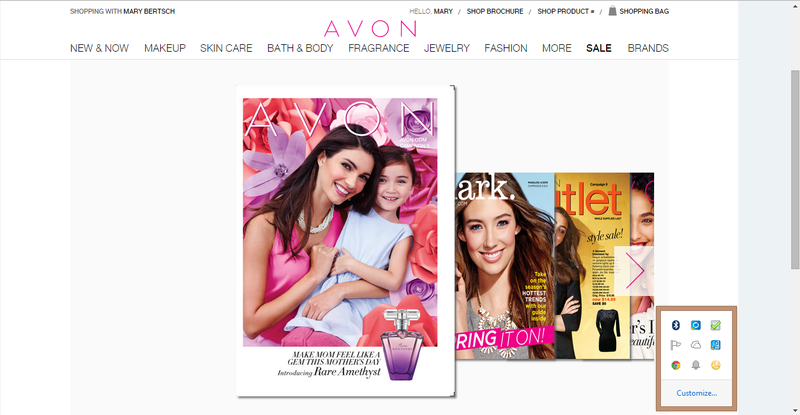 I have made a short 5 minute video of how to shop Avon from the current Avon brochure. I will show you how I shopped the Avon Mother's Day Catalog for gifts for my mom for Mother's Day. It is quick and easy and Avon will ship the products to any of the states in the USA. The current Avon brochure campaign in this video is Avon Campaign 9 2015. The steps will be the same for any future campaign. Avon always has free shipping on $35 orders. Make sure you subscribe to receive all of the promotional emails so you don't miss out on special Avon free shipping codes for orders of less than $35 and exclusive Avon discount codes. Click on the Avon brochure image below to view the steps on how to buy Avon online.